Yesterday was Thursday 26 October 2017 and it’s a date to remember. 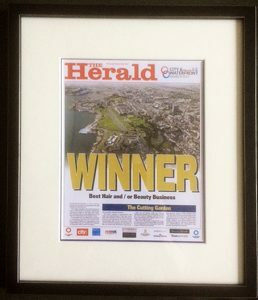 It’s certainly a date we will never forget, because that’s when your votes made us the winners of the Herald City and Waterfront Awards. Because of you, our loyal and supportive customers, the great team here at The Cutting Garden was named the best hair salon in Plymouth. The City and Waterfront Awards are presented once a year at a glittering black tie ceremony. This year, it was even more impressive than ever. 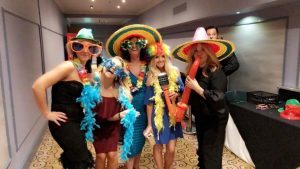 Held at the new Crowne Plaza on Plymouth Hoe, we were surrounded by tables of glamorous and excited guests and nominees. Around 500 attendees watched as 14 award categories were announced and awarded after a fabulous 3 course meal. When it came to our category, we were on the edge of our seats. We wanted to win of course, but there was a lot of tough competition, so until we heard the words, we couldn’t really expect to win. But then we heard: “…and the winner of Best Hair/Beauty Business is The Cutting Garden!” and we were in shock. Could it be true? It must be! And then, there we were on stage being presented with the award and having our photo taken. It was a moment to be cherished forever. 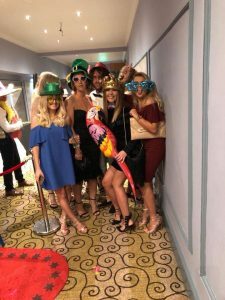 The Cutting Garden is one of Plymouth’s longest-running salons and we believe that the secret of our success is you: our clients. Every day, we do our best to look after you and give you the best advice and treatment we possibly can. Did We Know We Would Win? We were seated at Table 33. We were listed on page 33 of the awards programme. And The Cutting Garden has been in Plymouth for 33 years. Spooky? This close to Halloween, I’m not making any guesses, but I’m sure of one thing: we are absolutely over the moon with this magical award. Yes, we took a little time off to celebrate that night, but the next morning the salon was open again at the usual time. Because we know that winning this award is down to our wonderful clients. The Cutting Garden has been a Plymouth favourite for 33 years, and now we’re looking forward to carrying on that legacy for another 33 years. If you want to pop in and take a look at the award, please do; and while you’re here, why not book in for your next appointment? 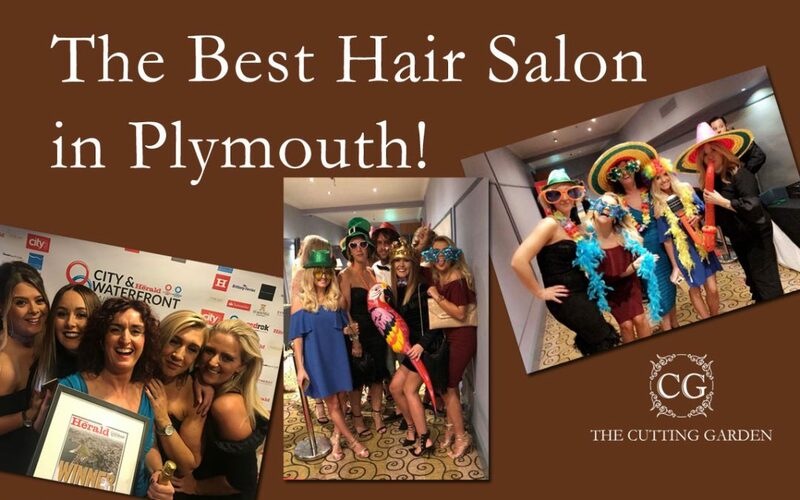 If you haven’t been to The Cutting Garden before, now is the time to find out why we’ve been voted the best hair salon in Plymouth. The Cutting Garden is here for you. Book your next appointment with us today.